American country rock band founded in 1967. 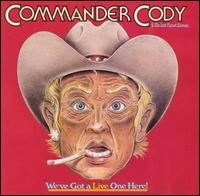 Commander Cody and His Lost Planet Airmen formed in 1967 in Ann Arbor, Michigan, with George Frayne taking the stage name Commander Cody. 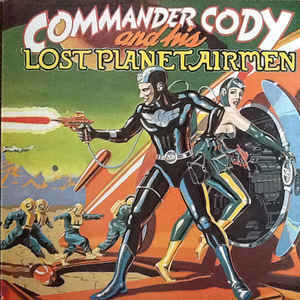 After playing for several years in local bars, the core members migrated to San Francisco, soon getting a recording contract with Paramount Records. The group released their first album in late 1971, Lost in the Ozone, which yielded its best-known hit, a cover version of the 1955 song Hot Rod Lincoln, which reached the top ten on the Billboard singles chart in early 1972.